Ships tomorrow if you order in the next 16 hours 51 minutes. Many toxins you come into contact with on a daily basis have the potential to disrupt your hormones. 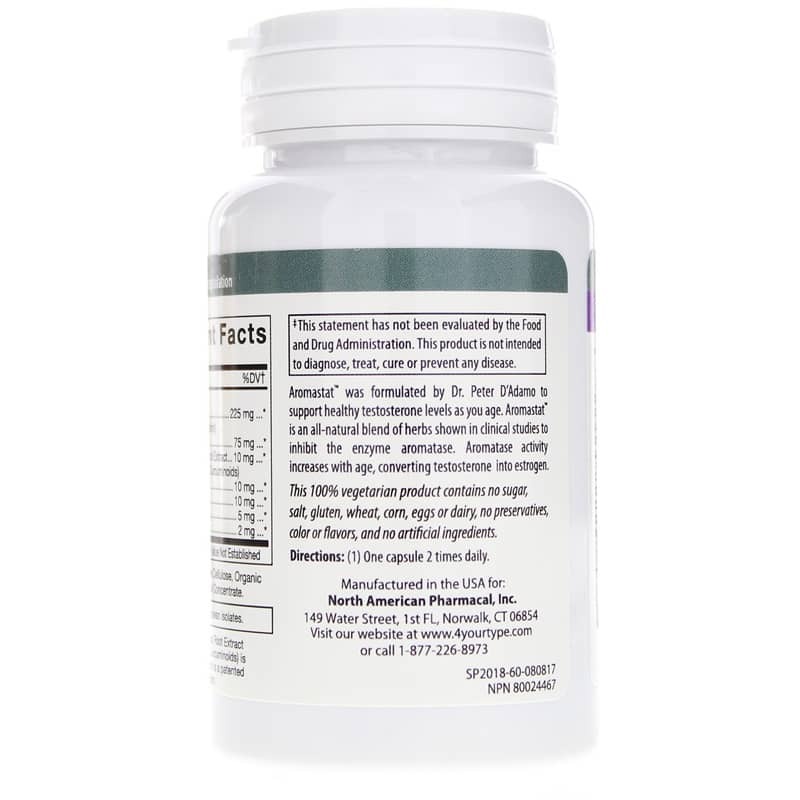 The aging process may also be a large factor in hormone imbalances, and if you're looking for something to help restore that balance as you age, D' Adamo Personalized Nutrition offers a great product option. 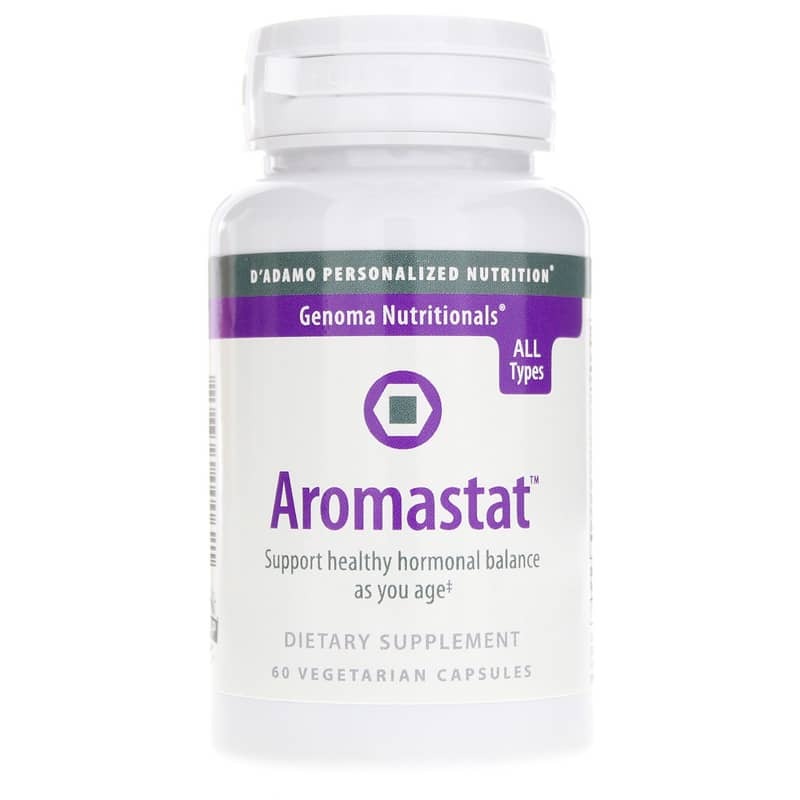 Aromastat is a dietary supplement that contains an all-natural blend of herbal ingredients that work together to help keep your hormones balanced. Every batch of Aromastat is made without the use of most common food allergens, and contains no artificial colors, flavors, preservatives, or other ingredients. 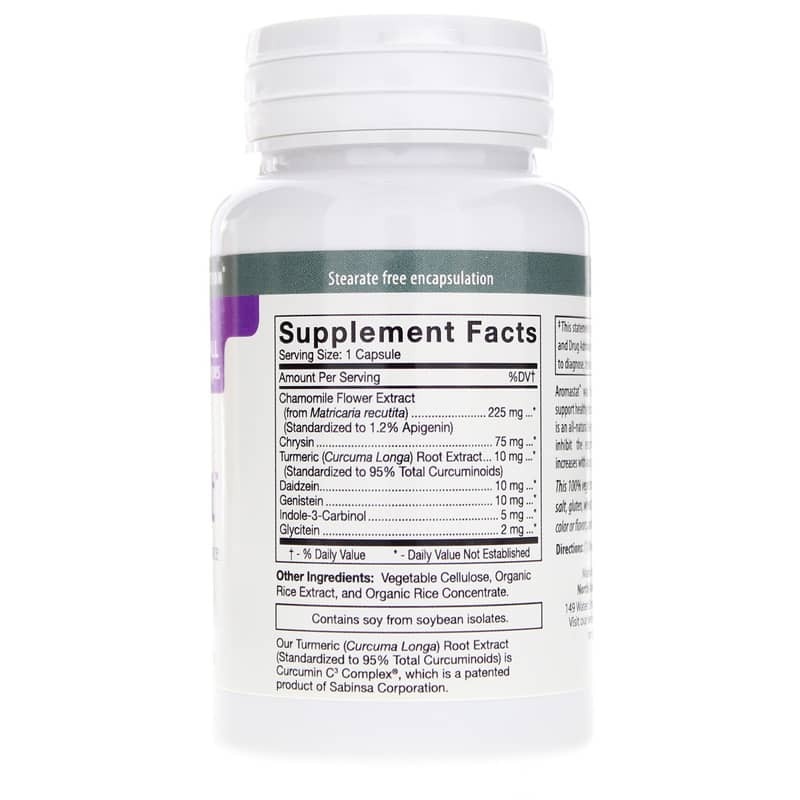 It comes in a capsule form that's easy for adults of all ages to swallow, and should be taken twice every day in support of optimal hormone balance. Take another step toward optimal overall health and an increased sense of wellness. Give Aromastat a try today. Order now! Other Ingredients: vegetable cellulose, organic rice extract, and organic rice concentrate. Contains soy from soybean isolates. Contains NO: sugar, salt, gluten, wheat, corn, eggs, dairy, preservatives, colors, flavors, artificial ingredients. 100% vegetarian. Adults: One capsule 2 times daily.